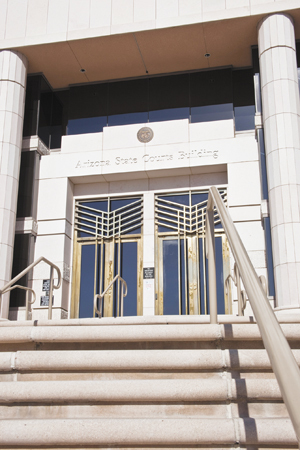 We blogged the opinion of the Court of Appeals here; go there for the facts. Rather than distinguish the hospital-lien statute the Supreme Court uses it as a guide: “Given the clear triggering event established for hospitals [viz., the receipt of “any services”], it would be anomalous to construe [33-932A’s] language as a rolling rather than fixed deadline without the statute expressly saying so.” Having thus rejected the Court of Appeals’ approach the opinion examines the details of the lien statutes to determine legislative intent and give meaning to all words. This entry was posted in Arizona Supreme Court. Bookmark the permalink.